There are horrors in the depths of the Hollows far more menacing than the Trolls or Outcasts. 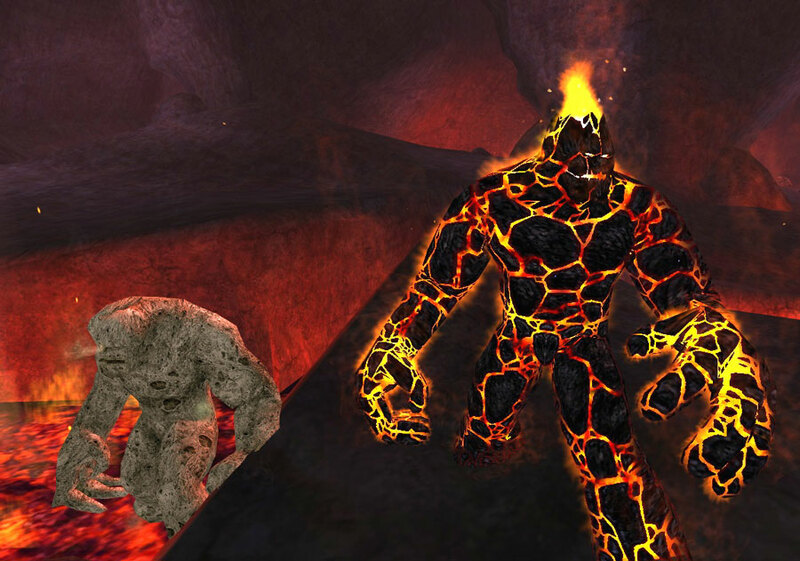 The Igneous are a strange race, seemingly made of living rock and magma, and alien to the eyes of humanity. The Trolls colloquially call them “rock dudes” and “lava dudes,” but such familiarity does not properly reflect the danger the Igneous represent. On the surface of the Hollows, scattered through the nooks and crannies of Grendel’s Gulch, are the scouts and vanguard of the Igneous. 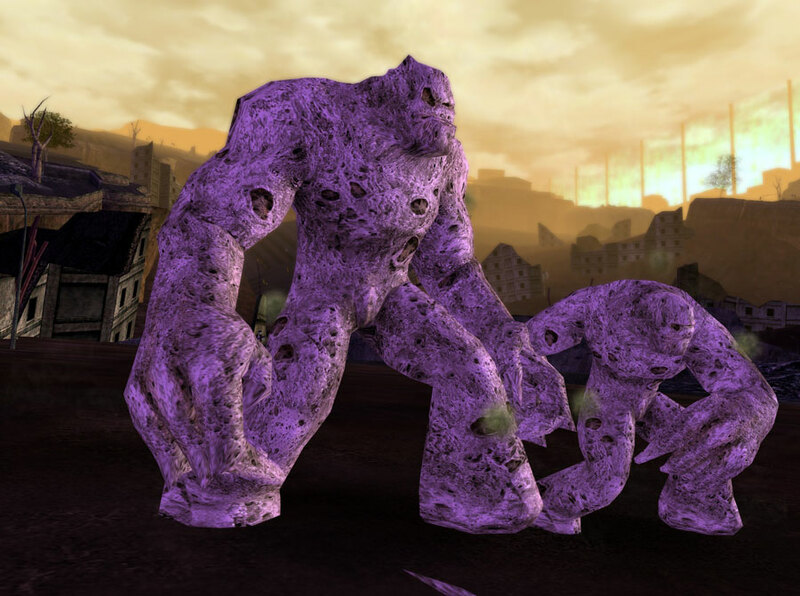 Named “pumicites” (from pumice, a porous form of solidified lava), these rock men appear to be made of a living, gray, porous stone. Their skin is abrasive, like the skin of a shark, and resembles a sponge because of gas bubbles frozen within it. These bubbles can burst, releasing noxious fumes that make it hard to breathe. Pumicites are much lighter than they appear, and thus are faster and more agile than heroes might expect. As dangerous as the pumicites are, the deadliest of the Igneous rarely venture to the surface. 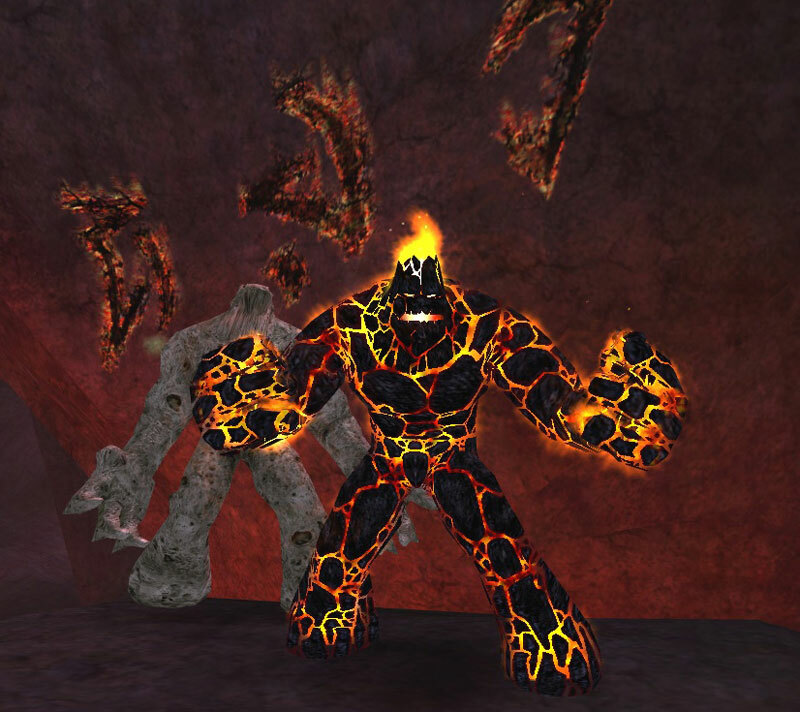 The “magmites” are minor lords of the Igneous. These creatures appear to be made of living, molten magma, held together by cracked, blackened slabs of rock. They shed small chunks of lava as they move or attack. 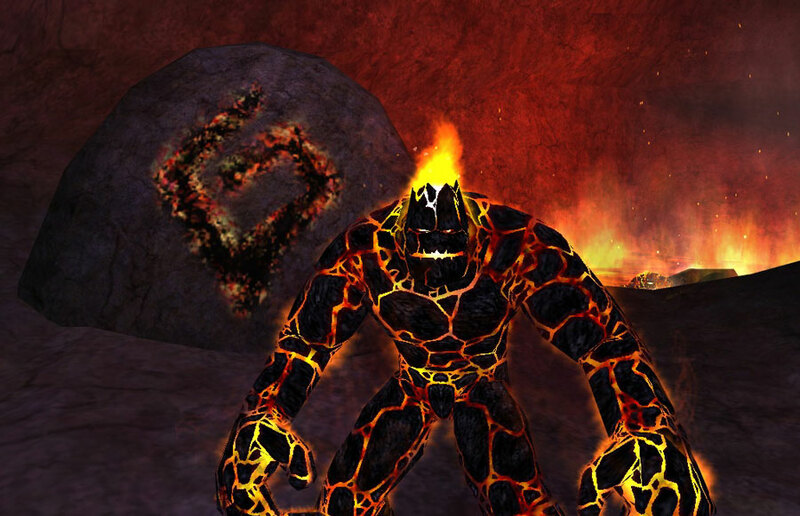 Magmites have been reported bathing in pools of molten fire. The heroes that have faced them have described them as measured, relentless enemies who are able to summon forth flows of magma to trap and burn opponents. It is clear that the Igneous were disturbed by the Hollowing Event, but what the future holds is difficult to say. Will they simply retreat back into the depths if left alone, or will they continue to push toward the surface? How intelligent are the Igneous? Can the citizens of Paragon City ever learn to communicate with them, and learn to live in peace? Or does some darker intellect, with far reaching goals and sinister ambitions drive them?